While the major tech companies are still slow to embrace diversity, many Black tech entrepreneurs are making waves on their own with groundbreaking companies. Lowekey, a mobile media studio, is one of them. Their products integrate advertising opportunities into the user experience on their smartphones. 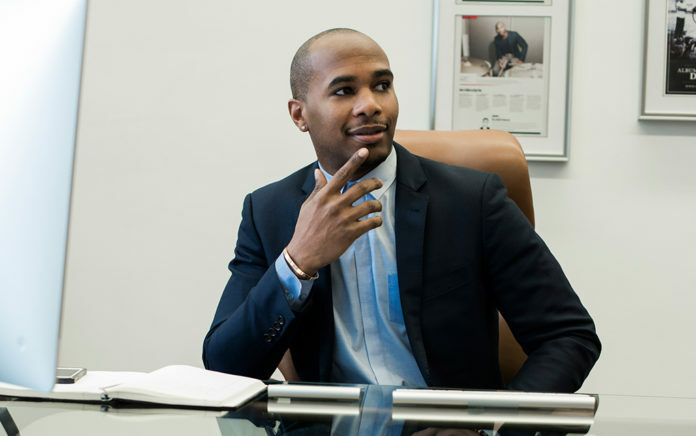 Award-winning mobile entrepreneur and CEO Gregory Lowe launched Lowekey in 2008, and has also developed, conceptualized, launched and marketed successful mobile applications with multiple Fortune 500 companies. Lowe has created other ventures as well, such as the successful app SongBooth, a social video network for user-generated music videos. To date, SongBooth has amassed over 8+ million downloads globally and has partnered with such major corporations as PepsiCo. Lowe talks to TNJ.com about entrepreneurship and more. TNJ.com: Why did you want to become an entrepreneur? Greg Lowe: ?I?ve always considered myself an entrepreneur from a very young age. When I was 13, I started a grass-cutting and snow-shoveling service in my neighborhood. I found that working for yourself gives you the freedom to work and take breaks as you like because there’s no one to answer to but yourself. The hard thing is there’s also only you to rely on getting your business to the next level which really instilled self confidence in me very young. TNJ.com: What startup challenges did you face? Greg Lowe: There are so many start-up challenges, from working capital to bad employees but if I were to focus on one I would say it’s overcoming doubt. Start-up life is an up and down, all around carnival ride, the biggest challenge is overcoming fear. TNJ.com: Please explain what Lowekey does. Greg Lowe: At Lowekey, our mission and central goal are to create intuitive, innovative, efficient and transformative mobile start-ups that continue to expand the user?s experience. We not only live, but analyze and study user behavior and trends to develop applications that excite and empower them therefore enhancing their digital lifestyle. ?This is why we live not only for the experience, but we live to re-invent it. TNJ.com: What prompted you to launch SongBooth? Greg Lowe: I decided to develop and launch SongBooth because I saw a need for singers, rappers, and performers to showcase their talents on a video-based social network. We wanted to provide a portal for them to share their works and to receive valuable feedback from their peers. TNJ.com: How does the app work? Greg Lowe: The app works simply by uploading your performance video or performing live via the press of a button on the app. TNJ.com: How have you marketed the app? Greg Lowe: We’ve marketed the app through partnerships with large brands like Pepsi and MTV. We also hosted the first mobile singing competition where users had the opportunity to win a label deal with Ryan Leslie or tickets to see Beyonce perform. TNJ.com: What got you interested in the tech world? Greg Lowe: I?ve always been interested in tech, and when I saw that the barrier to entry was lowered with the introduction of the mobile app marketplace I jumped in head first. Designing mobile apps has given me an outlet to share my creative ideas; it?s also an arena that needs diversity disruption. TNJ.com: How did the partnership with PepsiCo come about? Greg Lowe: The Pepsi deal came from many meetings and discussions around how SongBooth can be valuable to their brand. TNJ.com: Were you surprised the app got 40,000 downloads the first month? Greg Lowe: Not to brag, but there were actually 240,000 downloads in the first month. I was very surprised, but I knew we built a valuable product and the success of the app has rang true. Greg Lowe: We have many goals for this year at Lowekey, one being the two co-horts of my coding camp Lowekey Lab. Our first camp with partner IBM was a complete success, and we will be bringing that same energy to NYC in August of 2018. We’re also excited about the launch of our mobile app Minus O, which we are developing with the U.S. Government to help curb the Opioid Overdose Epidemic. Those are a few I can share; everything else we have to keep Lowekey. Greg Lowe: I like waking up every day and going into my office with my amazing team and working every day to become the Leonardo Da Vinci of mobile technology.